Today was such a beautiful day!! The weather was just perfect for April...and it was the first day I think I could actually breath ok enough to join these sillies outside. This has GOT to be the worst month for allergies in the history of, like, ever. And being preggers doesn't exactly help the issue either. 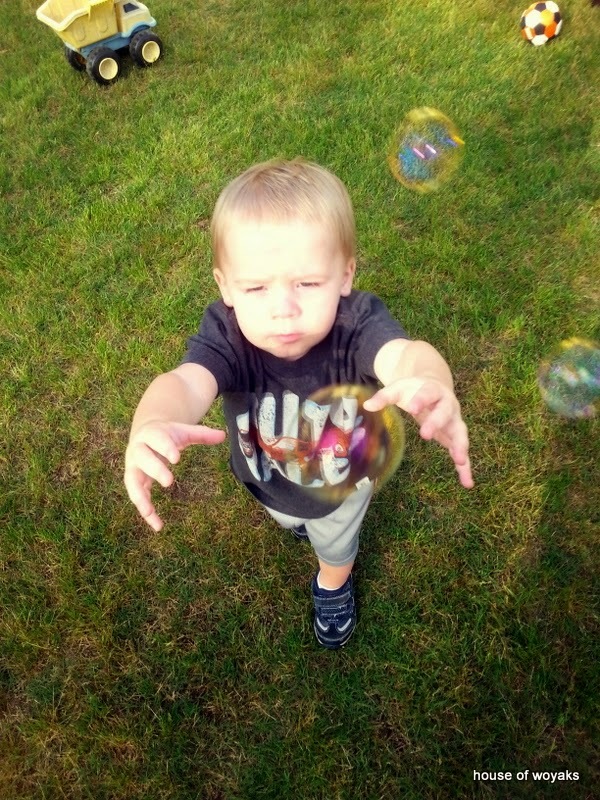 But, we got out this afternoon and had some bubble fun. Austin LOVED it!! 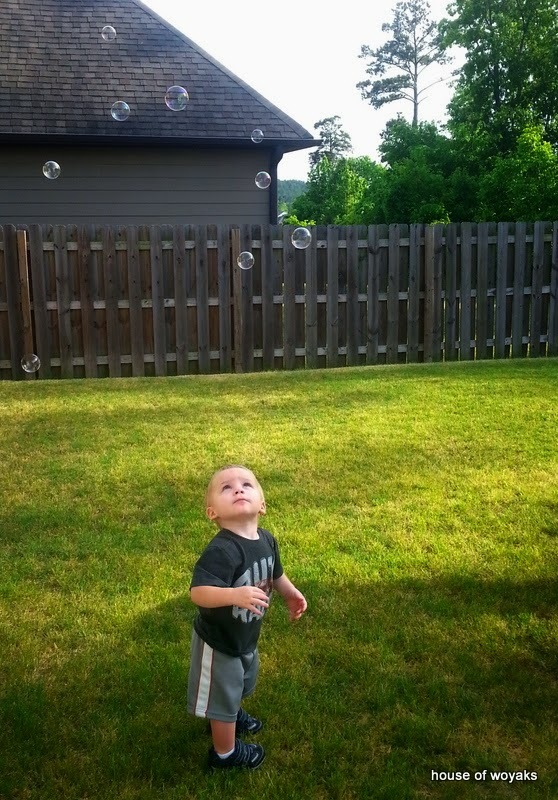 He is quite the serious bubble-catcher! Need some suggestions! I am planning a play date for our moms and littles at our church. 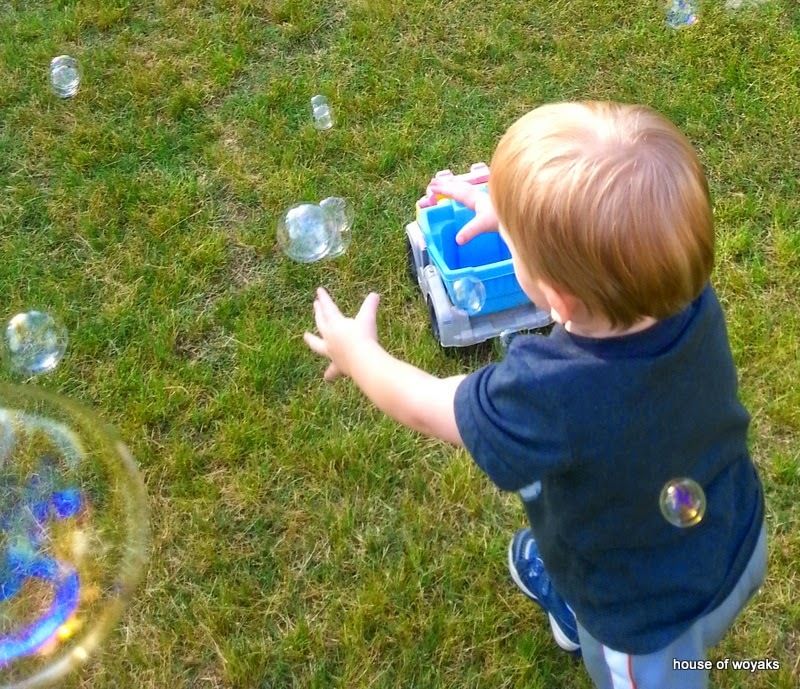 I'm totally making that a bubbles extravaganza, too! 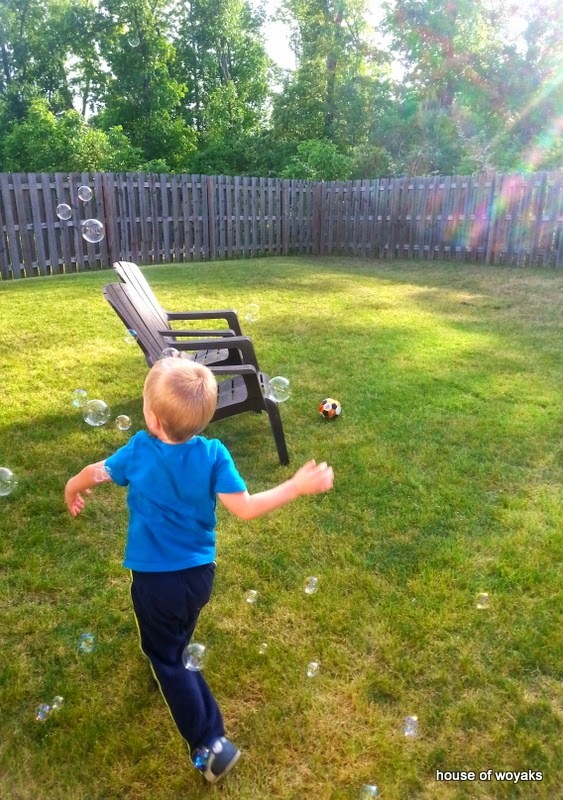 So, what are your kids favorite bubble items? 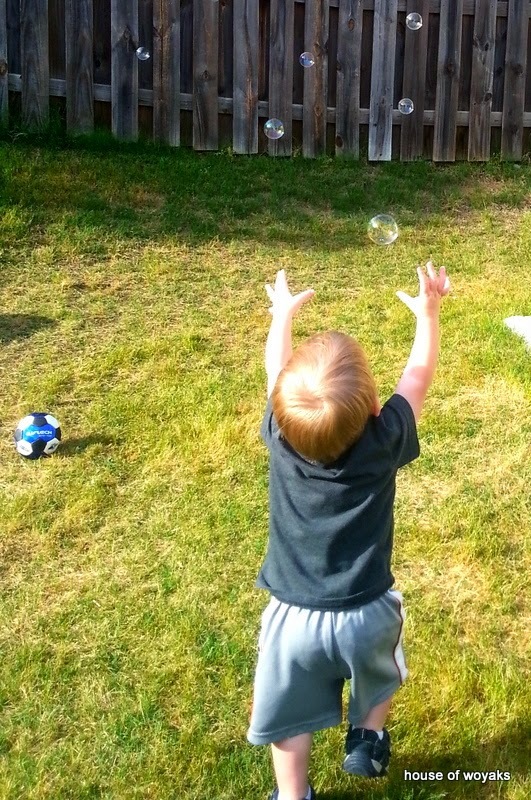 Favorite summer things? 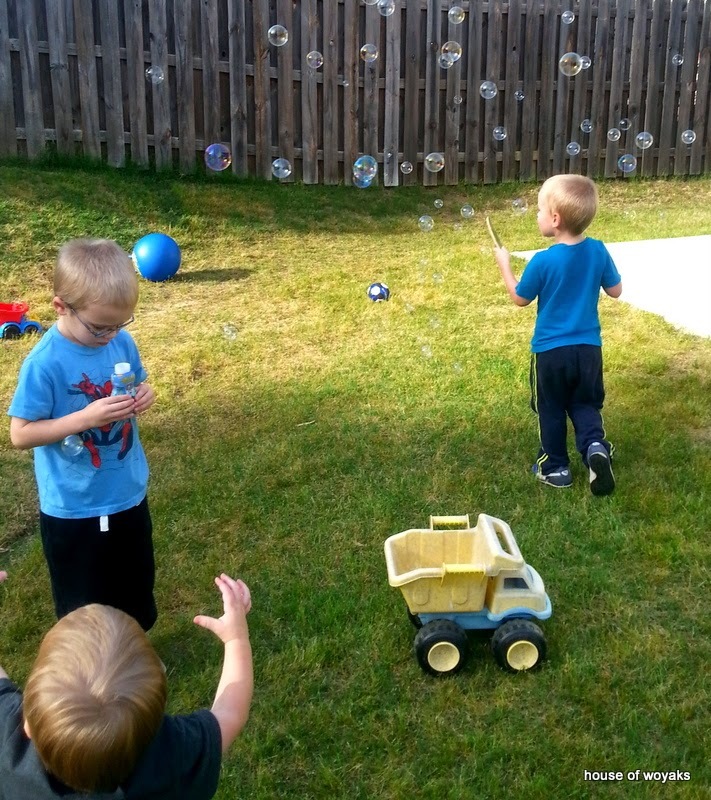 The boys had these bubbles today (but they were the Paw Patrol ones...same idea though). Though...I'm not a huge fan. Austin is going to have trouble, I know. But, Alex was getting mad when the wand part wasn't "refilling" like it should. Andrew he wasn't a fan of it spilling if he squeezed it just a touch too much. It was rather messy. 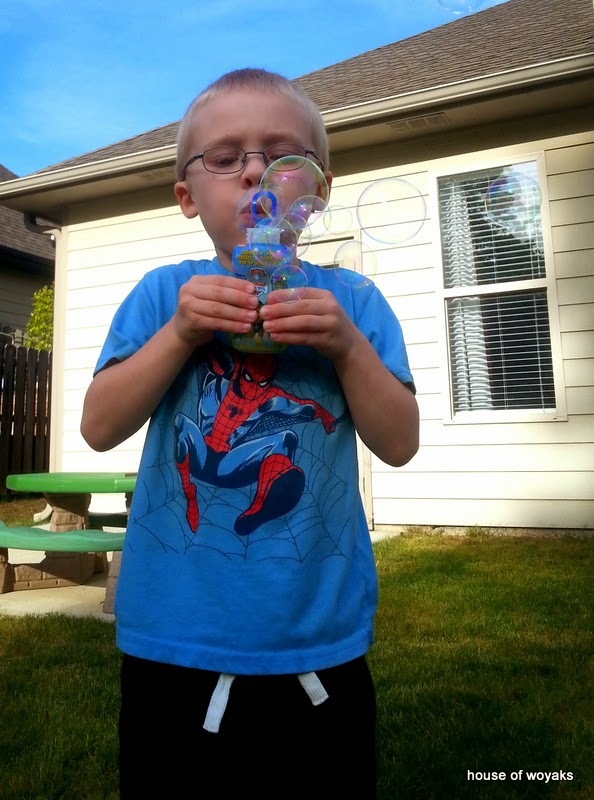 But, eh, they are bubbles. What are you gonna do? And, I plan on sending the kids home with this sidewalk chalk. I will ONLY purchase this brand!! For real. 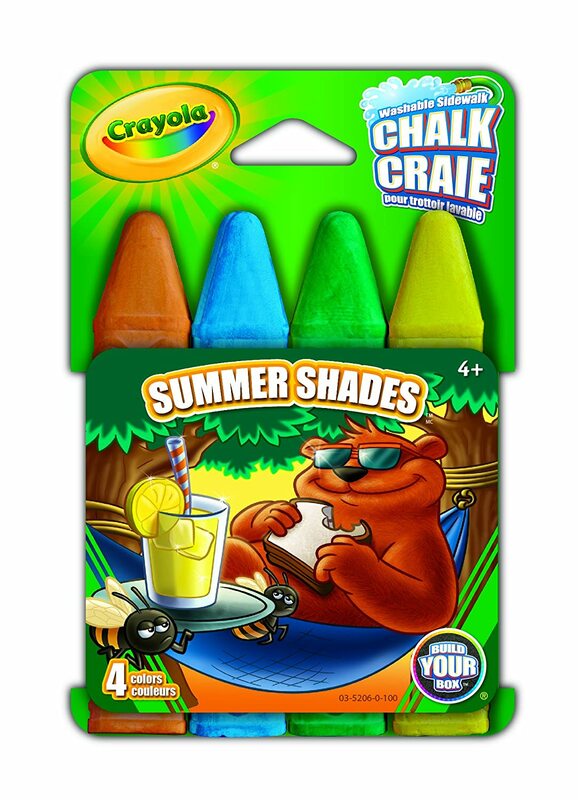 Why in the WORLD was the idea of WASHABLE sidewalk chalk not invented sooner??? 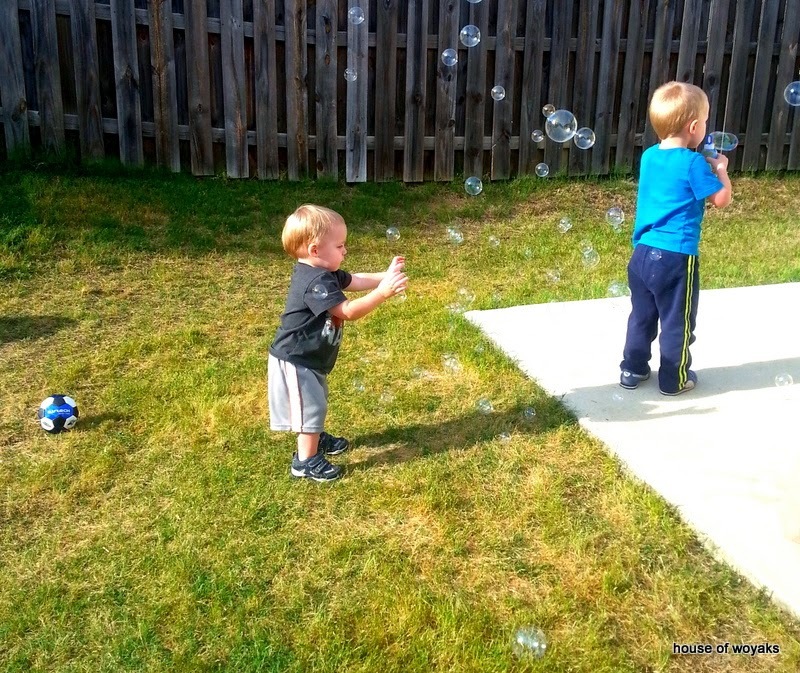 I can let the boys color over and over and over again with just a spray of the hose. No waiting for daaaaaaaays for that other chalk to finally disappear. Thank, Genius Crayola Person. You are a true rock star! Of course, we always have a stash of balls we bring to the park. So, what else? ?